Now the White House has accused Russia of helping the Syrian government cover up last week’s chemical-weapons attack, and Secretary of State Rex Tillerson has warned Russia that it should reconsider allying itself with the Assad regime, the Iranians, and Hezbollah. 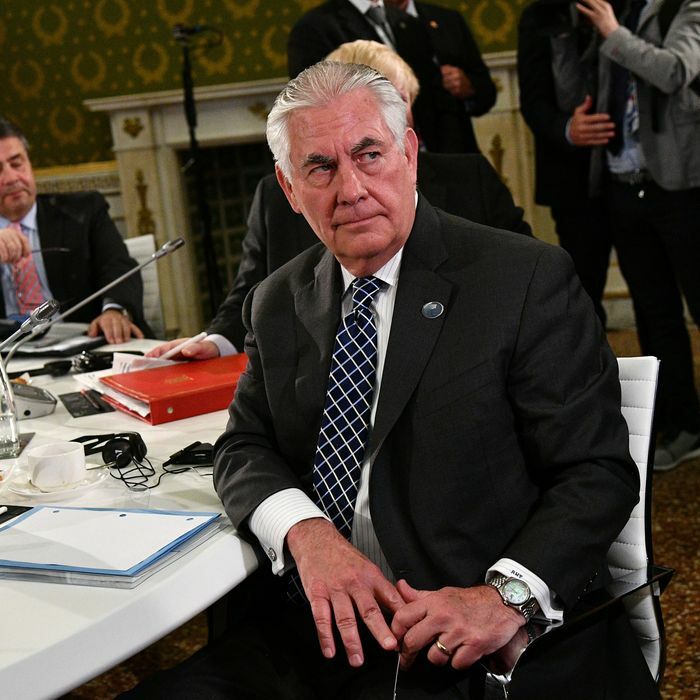 It’s been hard to get a clear picture of the Trump administration’s policy on Syria or Russia, and during a meeting of foreign ministers from the Group of Seven on Tuesday in Lucca, Italy, Tillerson created even more confusion. “Why should U.S. taxpayers be interested in Ukraine?” Tillerson asked the diplomats while discussing Russia’s invasion and annexation of Crimea, according to Bloomberg. This revived concerns that the U.S. might ease sanctions on Russia, despite all the tough talk in recent days. That would be a bizarre reversal, since two weeks ago the Trump administration explicitly ruled out lifting Russian sanctions … in a statement from Tillerson.